The Kia Sportage competes in the increasingly popular compact SUV class, amongst SUVs such as the Toyota RAV4 and the Honda CR-V.. CarFax has done the homework for you! Be informed about what you buy! They assure has had only one previous owner, is accident free and comes with a CarFax Buy Back Guarantee. Looking for reliability? You can stop right here. This vehicle comes with a great EPA estimated fuel economy rating of 22 MPG combined. The rear view camera is perfect for backing into tight spots. 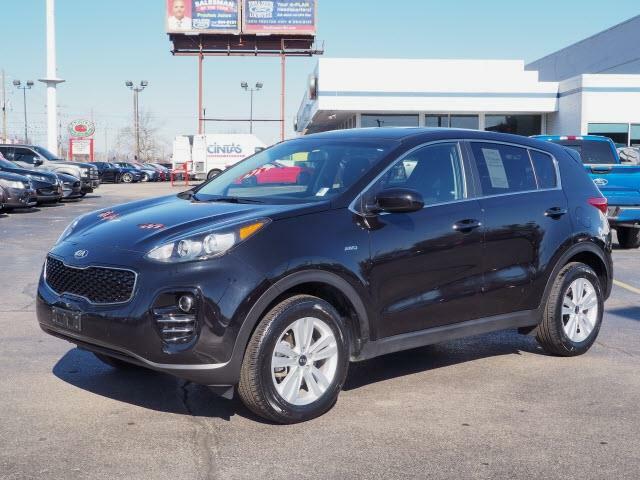 This Sportage includes: power mirrors, keyless entry, anti-theft system, seamless Bluetooth integration and aluminum wheels.